Last week, Democratic congressional candidate Missa Eaton submitted an op-ed, which we brought to you unedited and in its original form. 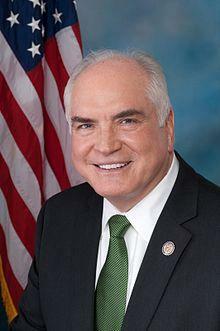 Congressman Mike Kelly was invited to respond, which he did earlier today. Below are his remarks, also unedited and in their original form. "One of the most important challenges facing elected leaders like myself is to ensure our education system is adequately preparing the next generation of engineers, computer programmers and congressmen. The future of our economic prosperity depends on an educated and skilled workforce that meets the job demands of the 21st Century. "I am fighting hard in Washington to correct the unfair funding formula that takes funds away from smaller urban and rural school districts and redirects those funds to larger big city school districts. In order to rectify this inequity, I have co-sponsored H.R. 2485, the All Children are Equal (ACE) Act, which addresses the way funding formulas are calculated under Title I of the Elementary and Secondary Education Act. "While dollars and cents are of course important pieces in building a successful education system, they are not the only factors. As a former school board member, I have firsthand experience working with educators, students and administrators at the ground level. Based upon this experience, I know that an overreaching, big government, one-size-fits-all approach to basic education is not going to provide our students with the foundation they need - and deserve - to learn and thrive. In order to have good schools I believe you must have strong community and parental involvement. For this reason, I have long advocated giving our local communities and parents greater flexibility in how they educate their young ones. My commitment to parental involvement compelled me to author H. R. 6148, the Families Saving for Education Act, to ensure that K-12 public school students continue to receive Coverdell Education Savings Accounts. Coverdell accounts give parents a tax free option to pay for educational supplies, books, and tuition. "On the House floor I was happy to vote for several pieces of legislation designed to do just that. H.R. 3989, the Student Success Act, and H.R. 3990, the Encouraging Innovation and Effective Teachers Act, are pieces of legislation that will unshackle teachers, parents and local school boards from the big government mandates issued out of Washington DC and give them greater control over local educational decisions. Moreover, this legislation would eliminate the pressure on teachers to "teach to the test" instead of using their instructional skills to meet the individual and unique educational needs of their students. "While encouraging our high school graduates to pursue a college degree is an admirable goal, it is not the only worthwhile pursuit they could follow. As I alluded to earlier, it is imperative that we match the ever evolving needs of our small businesses with a workforce that is qualified to meet those demands. That is why I cosponsored H.R. 3154, the Education for Tomorrow's Jobs Act, which encourages local job creator involvement in K-12 education as a way to help our schools develop curriculum that will help prepare our students for the workforce. If we dedicate our efforts to these kinds of endeavors, it is my belief we can stem the exodus of jobs to foreign soils and create family sustaining jobs here at home."